Alvar Aalto, Finland’s most famous architect and designer, once said, “Form must have a content and that content must be linked with nature.” Helsinki’s new seaside saunas can be seen as monuments to that sentiment. Although Löyly, Allas Sea Pool and Culture Sauna are ambitious in design, they show respect for the surrounding landscape while inviting visitors to connect with the chilly Baltic Sea and the scalding steam of the sauna. Löyly (the pronunciation is indescribable – you’ll just have to find a Finn to tell you how to say it) shows off Finnish wood architecture. Designed by Avanto Architects, the low-slung eco-sauna (it was built with timber certified by the Forest Stewardship Council) hugs the shoreline in Hernesaari, a former industrial area currently under redevelopment. The architects wanted to design an organic structure that would eventually blend in with its natural environment. The heat-treated pine slats form protective cover while also providing horizontal windows of light and sea views. In time, the wood will turn grey, the colour of the surrounding rock. 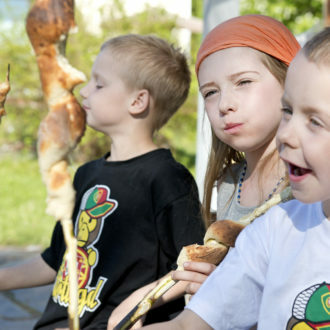 In Finnish, löyly refers to the steam that rises from hot stones as water is poured over them. 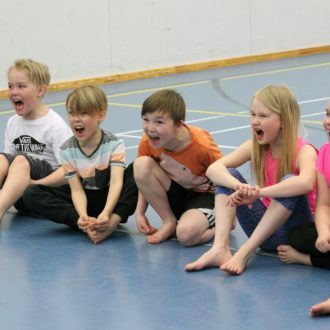 The Finns also use the word to refer to the essence of the feeling you experience in the sauna – a kind of spiritual cleansing. You can find out what we mean in Löyly’s two main saunas: a regular wood-burning sauna and a smoke sauna, which leaves a sweet aroma on your skin. Alternating between the two saunas on a crisp day with a chill in the air, a dip in the cool ocean water feels refreshing. Men and women share saunas at Löyly, so bathing suits are required – a notable departure from the Finnish sauna tradition of wearing nothing at all. There’s also a restaurant, and champagne flows in the lounge. Allas Sea Pool is just what its name implies (allas translates to “basin” or “pool”). It offers a uniquely urban public bathing experience in the heart of Helsinki. 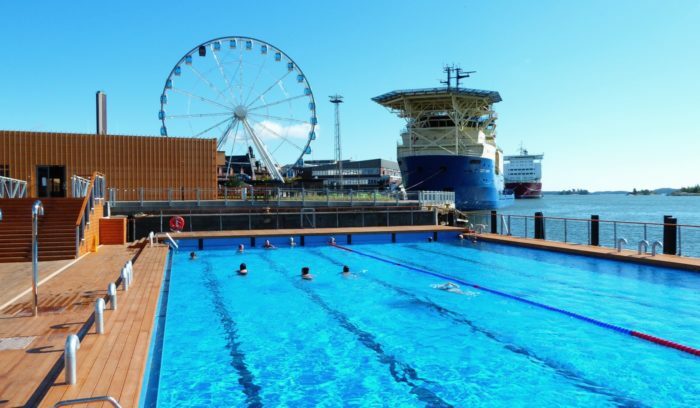 The wooden spa complex, designed by Huttunen-Lipasti-Pakkanen Architects in cooperation with Marinetek Finland, is made of Finnish fir trees and contains saunas, outdoor swimming pools, a floating deck and a recreation centre right on Helsinki harbour. Two of the three pools are open year-round, and that makes all the difference. The filtered seawater pool remains at its natural temperature and attracts intrepid swimmers, but two freshwater pools (one of which stays open all winter) are maintained at a comfortable 27 degrees Celcius (80 degrees Fahrenheit). From the pool or the deck, you can watch ferry traffic move across the water in front of bustling Market Square. The Presidential Palace and other architectural landmarks are also visible, and the ferris wheel known as the Sky Wheel turns in the background. Wood-burning stoves heat two saunas, one on the women’s side and one on the men’s side. To comply with Finnish sauna etiquette, you’re supposed to take your bathing suit off before entering the sauna, in contrast to the unusual bathing-suit rule at Löyly. Dozens of public saunas existed in Helsinki in the early 1900s. People came to these bathhouses to wash in the days before everyone had their own bathroom, and before it became common to equip apartments with their own saunas. A visit to the sauna was also a social occasion. Public saunas saw a decline in popularity as incomes and access to private saunas rose. Today, just a few of the older locations remain, reminders of a sense of community that fell by the wayside as times changed. Two authentic 1920s saunas still stand in the former working-class neighbourhood of Kallio: Kotiharju and Arla. 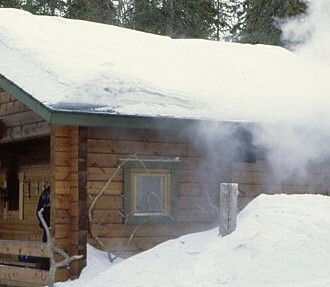 At the wood-heated Kotiharju (the name means “home ridge”) temperatures are not for the faint of heart. The same goes for Arla, located just a few blocks away. 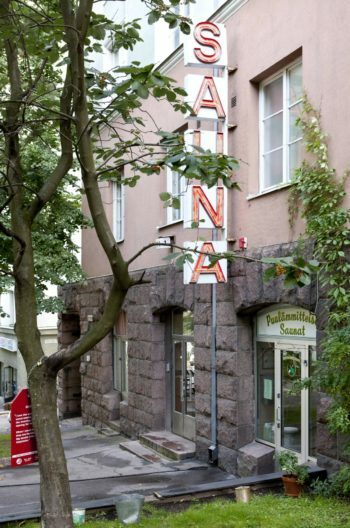 Just a few tram stops farther out, Sauna Hermanni is another old-time Helsinki favourite, recently renovated and redecorated with authentic 1950s furnishings in keeping with the place’s original atmosphere. All three of these locations have separate saunas for women and men. The most elegant of the old bathhouses is Yrjönkatu Swimming Hall downtown, also built in the 1920s. It offers a wood-burning sauna, an electric sauna and a steam room. Private booths overlook the beautifully tiled swimming pool flanked by arches two stories tall. With the schedule divided into separate days for men and women, bathing suits are optional. 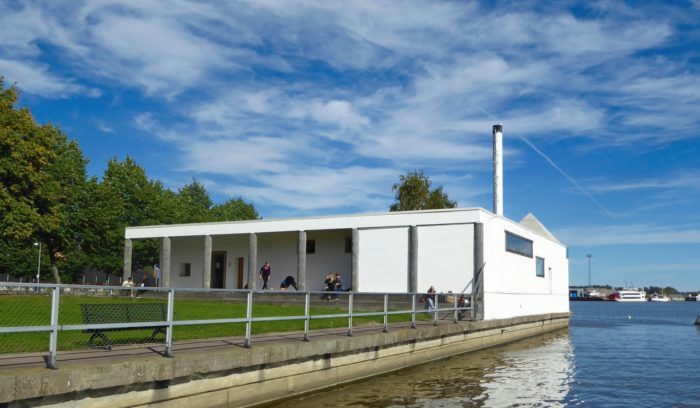 Helsinki’s current public sauna revival can be traced to Kulttuurisauna (Culture Sauna), which began as a project connected with the city’s year as World Design Capital in 2012 and opened in 2013. 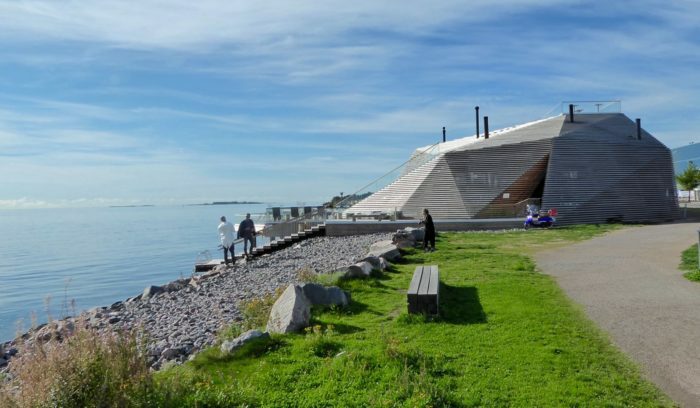 The first public sauna built in the city in half a century, Culture Sauna’s humble but exquisitely crafted building perches on the water’s edge in front of the concrete structures that make up the Merihaka district. Architect Tuomas Toivonen and artist Nene Tsuboi created a compact, one-story, white building and equipped it with candle-lit rooms and a wood-pellet–fired stove that emits an intense and perfect heat. It’s an intimate, zen-like experience that you can top off with a dip in the sea. Although the city is all around you as you swim – in one direction you may glimpse a power plant, and just across the water stands the venerable Kruununhaka neighbourhood – you feel far removed from the busy pace of urban life. A glass of potent sea-buckthorn berry juice forms the ideal post-sauna elixir. 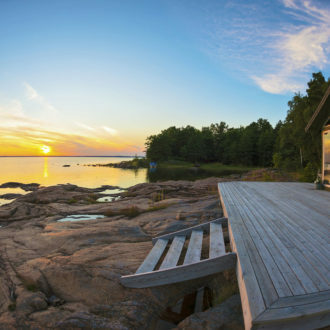 While the capital city’s public sauna renaissance gives cause for celebration, most Finns will tell you that nothing compares to a secluded sauna in the Finnish wilderness on the shore of a lake or the ocean. If you have the opportunity to visit one, you will come even closer to understanding the Finnish soul.